Trident Fly Fishing is a full-service fly shop. We spend a lot of time testing gear and writing shootouts to give you all of the tools to make your next trip a success. We are not a blog or a review site. 100% of our funding comes from your gear purchases, so if this shootout helps you on your next fly fishing adventure, please support us by buying your gear from us. It’s always a cringe-worthy moment when a trophy fish runs you into your backing. Maybe you’re worried about your fly line to backing connection, maybe you’re worried about backing strength or abrasion resistance. Whatever the case may be, most anglers don’t spend a ton of time thinking about backing until it’s too late. We’re writing this shootout to provide backing information so you can think about backing before your trip to the Seychelles or South America. Different types of backing have different applications and some are clearly stronger than others. Which backing is the best? Well, that’s what we’ve tried to answer here. Another major reason for this shootout was to create a comprehensive conversion chart for backing. Reel manufacturers typically give you only a line weight and one type of backing length, like WF12F + 200 yards of 30lb Dacron. So if you wanted to use 20lb, that meant you had to guess. We don’t like guessing. If you’ve spent time on the water chasing large fish or watched any number of fly fishing videos on the web, you’ve probably heard the phrase “the fish is into my backing”, or some phrase with a similar sentiment. What is backing and what purpose does it serve? 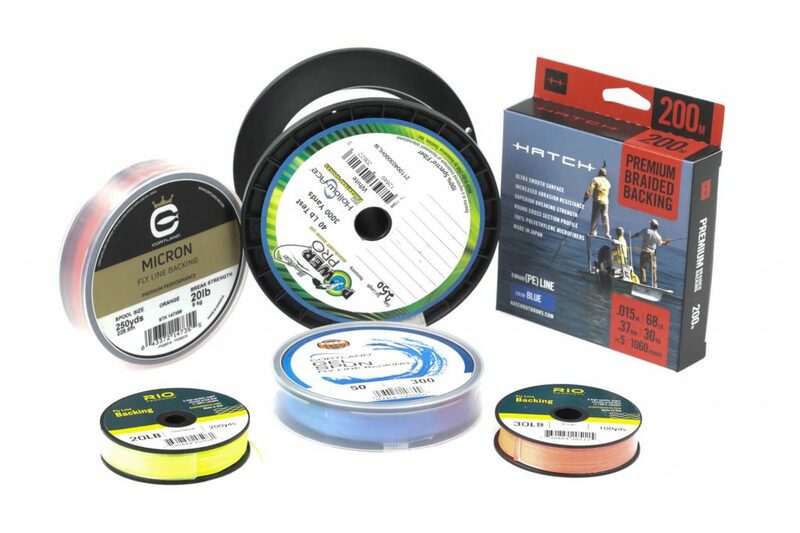 Fly line backing, or just backing as most anglers refer to it, is essentially a buffer between the fly line and the fly reel. Most fly lines are somewhere in the 100-foot range (some are shorter some are longer). If an angler hooks into a big fish that decides to run, sometimes 100 feet of fly line isn’t enough to turn the fish around and start reeling it in. 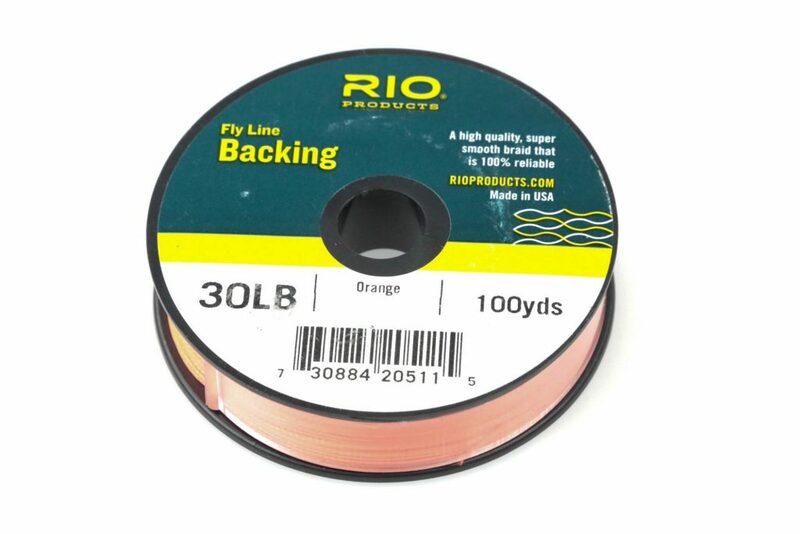 Backing is a strong, thin section of line that connects the fly line to the reel arbor, typically 100-200 yards in length. If an angler happens to hook a fish strong enough to take out his/her complete fly line, backing acts as an insurance policy by providing the angler with 100-200 more yards of line to play the fish. Backing also serves a second purpose: it fills up your fly reel. This is important because without backing, one turn of the reel would pick up up significantly less fly line. Without backing, you’d spend more time fighting fish instead of reeling efficiently and quickly. If you’re familiar with backing and have purchased it before, chances are you know about Dacron, the most popular type of backing. Dacron is known for high tensile strength, low stretching, and solid resistance to abrasion - characteristics that make it a prime candidate for fly line backing (although it’s more commonly used as a staple fiber in clothes). Dacron is generally used in trout fishing and small water applications. Micron is similar to Dacron, but we weren’t 100% sure of the specifics, so we asked the experts. Straight from the Cortland Line Company: “Micron is made of Dacron fibers. 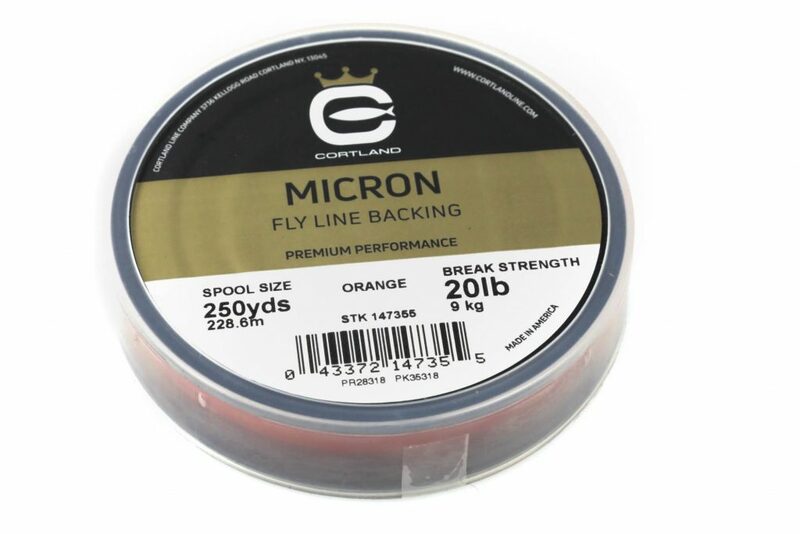 Cortland Micron is built on a 12 carrier construction and also includes a unique coating making it stiff and slick with better knot strength.” Basically, Micron is Cortland’s brand of Dacron, with a twist (ha, ha, ha). If you’re not using a Dacron-based backing, chances are you’re using a backing made with PE. PE stands for polyethylene, a popular plastic used in grocery bags, various plastic bottles, and other household items. PE backing tends to be stronger, has a much smaller diameter, and is incredibly abrasion and UV resistant. PE-based backing is often used in saltwater fishing scenarios. You may also hear PE backing referred to as Gel Spun backing or Spectra backing (they’re all pretty much the same). Gel Spun backing is braided from polyethylene and also has increased line strength and decreased line diameter. Because of its small diameter, one huge benefit of Gel Spun and PE backing is that a higher capacity of backing can be spooled onto a reel. That being said, it offers less stretch than Dacron. One important distinction worth making here is that not all backing is hollow. Dacron-based backing is hollow and can be spliced (splicing is a technique used to create a backing loop to attach to a fly line loop… more about that later). Gel spun, on the other hand, is round. Hence the increased strength and smaller diameter. Round backing cannot be spliced. Now that we know what backing is, let’s dive into the testing procedure we used in the shootout. The first calculation we made was an estimated volume for all backing types. For our testing, we chose an Orvis Battenkill Disc IV reel due to its nearly square edges which would make our estimates of volume as accurate as possible. We then spooled the reel with 200 yards of backing, doing our best to spool it with the same pressure and keep things as even as possible. Once the backing was on, we used our digital caliper to take 3 measurements of the diameter of the spool + backing, then averaged them. Using this diameter, we calculated the volume of the cylinder with backing and subtracted out the volume of the arbor (empty spool), thus arriving at our estimated volume. Scientific Anglers 30lb XTS Gel Spun backing had the smallest estimated volume and Rio 30lb Dacron Orange had the largest. Understanding the volume is great for comparing backing to other backing, but it’s not really a useful real-world measurement. Diameter has been the standard for measuring fishing lines for the last century or so and we wanted to give you an idea of what the diameter of the backing is. Traditionally, a diameter is measured using a micrometer, but the problem is that most of the backing we tested isn’t cylindrical - it’s flat. So, we created the idea of “effective diameter” to compare the physical size of the backing as it’s spooled on the reel. This takes into account space in between that’s unoccupied. We estimated the effective diameter by using our volume measurement and calculating the diameter of a 200-yard long cylinder with the same volume. Unsurprisingly, Scientific Anglers 30lb XTS Gel Spun backing had the smallest effective diameter and Rio 30lb Dacron Orange had the largest (the same two backing types with the smallest and largest estimated volumes, respectively). Next, we tested the knot strength of each backing using three knots: the Triple Surgeon’s Knot, the Bimini Twist, and the Spliced Loop. We selected these knots because they are the most popular knots for attaching fly line to backing. Back in the day, you may have used a nail knot, but today most fly lines have a loop for easy connections, and a loop knot not only works better but allows for quick switching of fly lines. Knot strength was tested by tying one knot at each end of a 2-foot piece of backing. Backing was then looped onto our Admet Universal testing machine and stretched to the breaking point. The load cell then gave us the breaking strength of each knot in reported in pounds. You may be wondering why the strength of many backing types exceeded the reported tensile strength (>100%). It’s not because knots are breaking at a strength greater than the strength of the line itself. It’s happening because manufacturers are reporting a tensile strength that is lower than the actual breaking point of a particular backing. PowerPro was the big winner here at over 55lbs of break strength. Finally, we came to the conclusion that we needed a catch-all category so that we could compare all of the backing across various tensile strengths and just plain make it easy to say which was best. We started out by calling this “Knot Strength per unit of volume”, but that was a bit tedious, so we called it Knot Specific Strength. It’s a simple formula. We took the strongest of the three knots tested and divided the break strength by the estimated volume. While the name isn’t intuitive, what we’re measuring is. The best backing has the strongest break strength at the lowest volume. In this case, the result was clear: PowerPro. It tops the chart in break strength and does so at a super skinny diameter. When considering our findings, it’s worth noting that these tests and the reported data are not necessarily statistically significant. Each type of knot for every backing type was tested only once or twice. Further, two knots were tied in each test so the reported data points are for the weaker knot. The goal of this shootout wasn’t to definitively prove that a bimini held at 95% break strength for every type of backing, or that Rio 30lb white Dacron is definitively better than Rio 30lb orange Dacron. To do that would have required us to remove any random error and would require lots and lots of testing. Instead, this shootout was designed to answer big-picture questions that relate to the practical angler. To this end, we estimate that our diameter measurements are accurate to within 1/10 in. This means that, for practical purposes, a diameter measurement of 2.55” and 2.64” are the same. 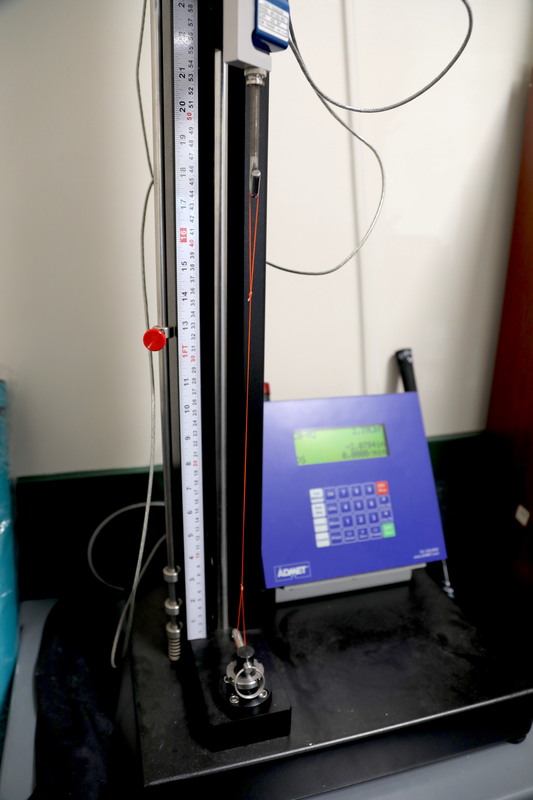 We didn’t test backing tensile strength (this is the lb test that’s stated on the box). While it was definitely something we considered, doing so would’ve required special clamps and they were just too expensive to add to our machine to justify it. Furthermore, tensile strength testing is also largely irrelevant in fly fishing because there’s always a knot that connects backing to fly line. We wanted this shootout to reflect a real-world scenario and apply to practical on-water applications. We also didn’t test the abrasion resistance of the backing. While extremely important, it would’ve been hard to wear down every backing type in a consistent way. That being said, anecdotal evidence suggests that PE Backing (Gel Spun, etc) is much more abrasion resistant than Dacron. Which backing is the best? Easy: For premium backing, PowerPro HollowAce 40lb was really the clear winner. With a whopping 38.14 lbs of strength (95% of reported tensile strength) when tested with the Bimini Twist and 55.71 lbs of strength (139% of reported tensile strength!) when tested with the spliced loop, PowerPro is an insanely strong backing. 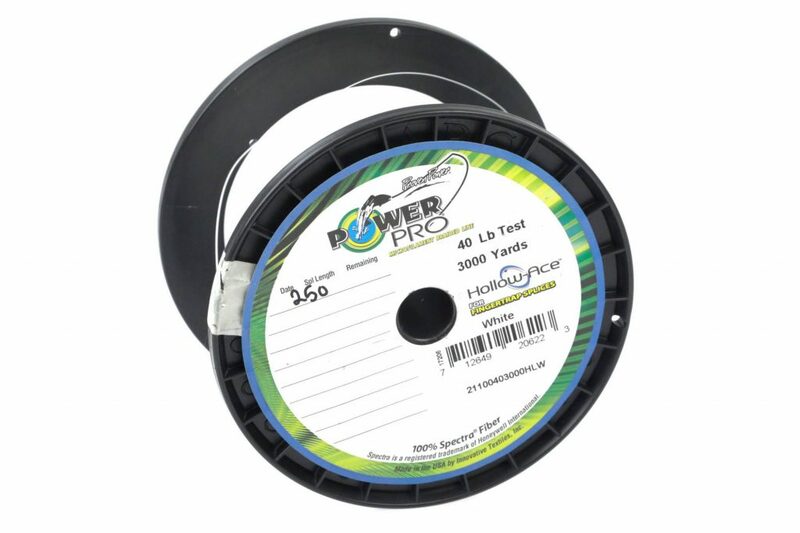 PowerPro also had the highest Knot Specific Strength at 34.4 lb/cubic inch. But, if you take price into account, PowerPro’s victory isn’t all that surprising. There was no clear winner in the Dacron category. Essentially, all Dacron is pretty similar regardless of color or manufacturer. If you forced us, SA Dacron tested a little better across the range than the other Dacron backing types. If you'd rather see the data in a PDF, click here. Ultimately, a spliced loop should be used whenever possible. If you’re fishing with Dacron, Micron, or PowerPro, a spliced loop provides the most breaking strength. This is where PowerPro has a real advantage over other PE Backings. If you’re fishing with Gel Spun, a Bimini Twist is the strongest knot, but it’s really hard to tie properly (we had issues with slipping knots and Riley can tie a bimini in his sleep). 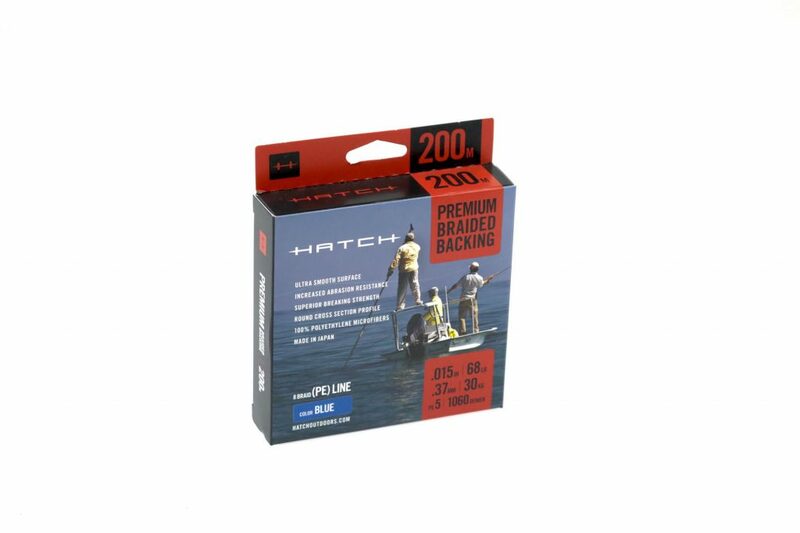 For Hatch backing, even we couldn’t tie a good one. Therefore, if you’re using a PE backing, we recommend the tried and true Triple Surgeon’s Knot. OK, I get that PowerPro is the best - but is it worth the cost? The importance of fly line backing changes based on target species. If you’re chasing trout on a smaller river, fly line backing is almost unneeded. PowerPro might be overkill in this situation, but PE backing provides other benefits such as UV and abrasion resistance that are useful to even trout anglers. On the flipside, if you’re chasing Giant Trevally in the Seychelles, you’re definitely going to want the best backing, in this case PowerPro HollowAce, on your side. When and where to draw the line is up to you (and your wallet). These conversion charts are some of the most useful manifestations of this shootout. 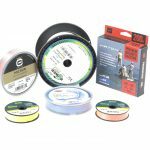 Now, when a reel company gives you a capacity for 30lb Dacron, you can quickly convert that recommended capacity to the backing of your choice. No more guessing. Thanks for the review of an often ignored subject in big game fishing. One issue that is often brought up when comparing dacron to gel-spun backing is that, if a fish does get into your backing and you're holding onto the line, gel-spun is much more likely to slice your hand/fingers than is dacron. I've never used gel-spun and I've never caught a Giant Trevally, so I don't have any first hand experience with this. Hi William - glad you enjoyed it!! You make a great point. While I've never sliced my hand on any backing, the 'old school' gel spun lines are quite rough, and it's something we noted on the chart with all of the data. Definitely not something you need to worry about with the newer stuff, it's smoother than Dacron. 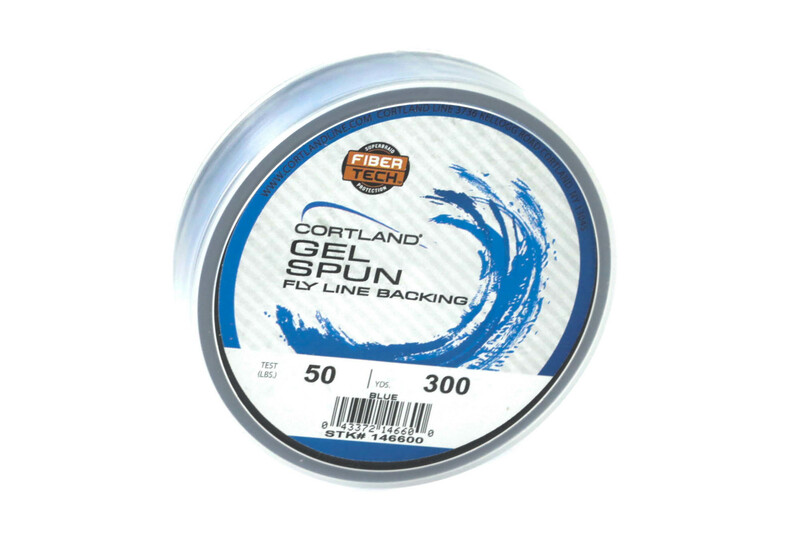 In blue water fishing or big game flyfishing another big advantage in using gelspun backing is that the smaller diameter provides less resistance in the water when those big ones turn. Less resistance means less break-offs but I always have a few yards of mono backing as well to provide some shock absorbance. 65lb gel spun still gives you smaller diameter than 20lb Dacron while not as apt to slice a finger to the bone as 30lb gel-spun. I fish for steelhead and salmon in the northeast and in the salt for the usual host of toothy characters in south Florida. I recently discovered Tuf-Line XP https://tuf-line.com/product/tuf-line-xp/ in 50lb makes an awesome backing for 1/2 the price of the HollowAce mentioned in this article. Yes, you should never try to grab backing when a fish is tearing off a lot of line as it will probably cut you... but so will dacron. The 50LB Tuf-Line is the same diameter as 12 lb mono and according to their website has a breaking strength of 61lbs. Actual diameter is .013 so you can put a lot of it on your bigger game reels as insurance. I use three triple surgeons knots to make the loop that connects to the fly line and have had zero problems as of yet. There a place on eBay that sells 1200 yds of this stuff shipped for $119. Just my 2cents!